LOOKING FOR A FAST & RELIABLE PROPERTY APPRAISAL? When you need to know the value of a property, you need a certified and licensed professional appraiser. Kaysen Realty Valuation has been providing appraisals on residential, commercial and vacant land for over 30 years. 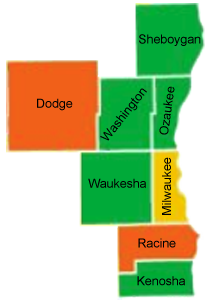 Our coverage area includes all of Southeastern Wisconsin from Manitowoc to Kenosha, including Ozaukee, Washington, Dodge, Sheboygan, Waukesha, Racine, and Milwaukee counties.